Big Oil is handing out more pink slips as it grapples with a world of cheap oil. ConocoPhillips (COP), one of America's largest energy companies, disclosed plans on Tuesday to cut about 1,800 jobs. The biggest chunk of layoffs will take place in North America, including more than 500 just in Houston. The oil giant cited a "dramatic downturn" rippling through the industry for the cuts. The tumble in oil prices has been great for American car drivers, but energy workers have been hit hard. 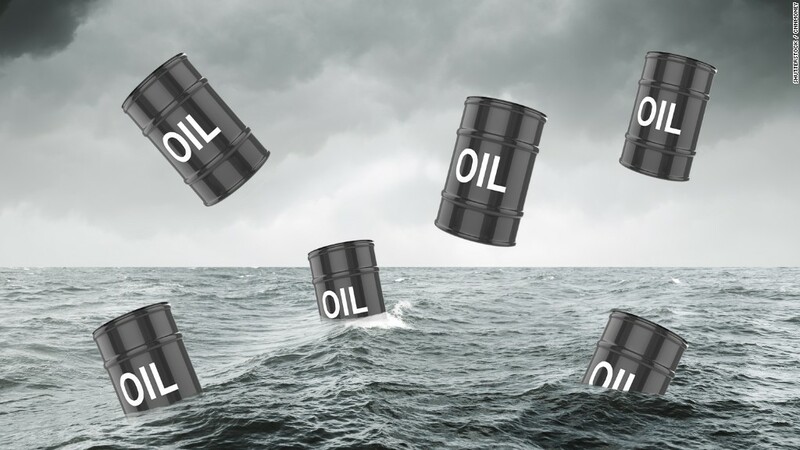 A massive glut in oil has caused prices to plunge from over $100 a barrel last year to as low as $38 last week. Prices remain extremely volatile, making it difficult for energy companies to plan for the future. Companies of all stripes have significantly slashed spending. Despite a recent rebound in prices, few anticipate a return to triple-digit prices for at least several years. ConocoPhillips joins a long list of oil companies that have laid off workers. Between June 2014 and April, American companies have disclosed more than 51,000 job cuts directly attributed to falling oil prices, according to outplacement firm Challenger, Gray & Christmas. Oilfield services companies have been among the most aggressive to reduce headcount, with Schlumberger (SLB), Baker Hughes (BHI) and Halliburton (HAL) each announcing mass layoffs. Some energy workers who have kept their jobs have been forced to accept lower pay. ConocoPhillips said its layoffs represent about 10% of the company's global workforce. It said the moves are "necessary to become a stronger, more competitive company" in light of the oil price crash. Like other oil companies, Conoco has also sought to stem the bleeding by cutting spending and future deepwater exploration programs. Shares of Conoco fell over 3% on Tuesday amid a broad selloff on Wall Street and within the energy sector. The company's stock is down more than 40% over the past year.